September 12, 2018 at 12:10 am. SAN FRANCISCO — Anibal Sanchez will attempt to turn the tables on the San Francisco Giants in more ways than one Wednesday afternoon when he takes the mound for the finale in a three-game series between teams headed in opposite directions. The Braves (81-64) won a second straight in San Francisco and fourth in a row overall Tuesday night when Mike Foltynewicz threw a complete-game six-hitter in a 4-1 victory that increased Atlanta’s lead in the National League East to a season-best 6 1/2 games over Philadelphia. 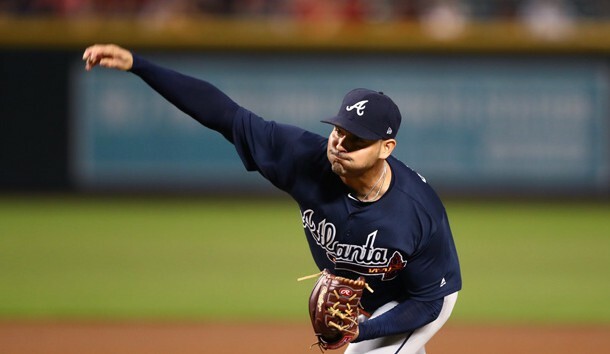 Sanchez (6-5, 3.09 ERA) will seek to complete what would be the Braves’ first three-game sweep in San Francisco since 2011, which also was the last time Atlanta won a series at AT&T Park. The Braves already have clinched a series win, having also captured Monday’s series opener by the same 4-1 count. Coincidentally, one of the Braves’ stars other than Foltynewicz in Tuesday’s win has a link to the 2012 World Series as well. Charlie Culberson, a first-round pick of the Giants in 2007, came off the bench to hit a two-run home run in the fifth inning to account for half the Braves’ runs Tuesday. The Giants traded Culberson to the Colorado Rockies at the 2012 trade deadline for second baseman Marco Scutaro, who went on to be one of San Francisco’s postseason heroes that year. Left-hander Derek Holland (7-8, 3.54 ERA) will oppose Sanchez with the task of ending the Giants’ 10-game losing streak, their longest since 1996. Holland has been a victim of the Giants’ cold bats of late, having gone 1-0 in his last five starts despite a 1.61 ERA. He has allowed 19 hits and five runs in those 28 innings. Holland will go head-to-head with young Braves standout Ozzie Albies for the first time. The 21-year-old has contributed two doubles and a triple to the Giants’ downfall in the series.